Bombers targeted staff of Israel�s embassies in New Delhi and Georgia on Monday, wounding four persons. 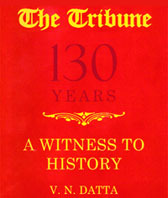 Israeli Prime Minister Benjamin Netanyahu accused Iran and its Lebanese ally Hezbollah of involvement. Commerce Minister Anand Sharma arrived here on Monday as the head of the largest-ever Indian business delegation to Pakistan, affirming India�s resolve to dismantle trade barriers and build a relationship of trust and confidence with the neighbouring country. 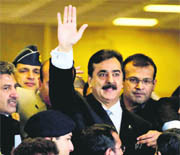 Prime Minister Yousuf Raza Gilani was on Monday indicted for contempt of court by refusing to write to Swiss authorities seeking reopening of the money-laundering case against President Asif Zardari. Maldives� new government has commended India for the way it dealt with the political upheaval in the country, saying New Delhi was not �fooled� by Mohamed Nasheed�s claims of a coup and was �correct� in its reaction. CBI Director AP Singh today said Indians were the largest depositors in banks abroad with an estimated 500 billion dollars (nearly Rs 24.5 lakh crore) of illegal money stashed by them in tax havens including those in Mauritius, Switzerland, Liechtenstein and British Virgin Islands. Was Hina Rabbani Khar, the 34-year-old first woman Foreign Minister of Pakistan, was paranoid when a call from an unknown Indian number landed on her mobile phone? SP of Raichur district SB Bisanalli said Amaresh, a Raichur youth questioned for making a prank call to the Pakistani minister, �was completely innocent�. Cobra venom as party drug! Chocolates and flowers, the accepted symbols of the Valentine's Day, and venom of a deadly cobra do not gel together. However, if activists of People for Animals (PFA) are to be believed, then the seizure of a half-a-litre of deadly poison and five cobras today from a Delhi-bound bus proves that rich and spoilt are fast becoming addicted to a new party drug - venom of the Schedule-I reptile Cobra.